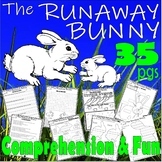 Teach students cause and effect by reading The Runaway Bunny by Margaret Wise Brown. Students then create their own story based on this classic. This includes a rubric for grading student stories. This lesson walks you through preparing, teaching and assessing students. 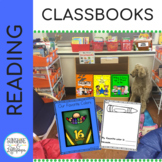 Included in the lesson plan are: common core standards, objectives, vocabulary, materials, procedure, student work images, a bunny template and an assessment rubric!! 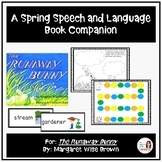 This is a basic curriculum pack to use after reading the book The Runaway bunny by Margaret Wise Brown. Great for users of the Five in a Row (FIAR) curriculum. This interactive book is an outreach exercise for escaped rabbits. It is affixed with magic stickers and can play parent-child interaction. This story is one of my favorites. It is great for making inferences and predictions during shared reading or for a Guided Reading Story. My Spring gift to you is this free, fun, retelling and writing activity to go along with this story! Directions Number the cards in order to retell the story. This Bible verse printable set includes a poster, tracer page, cursive tracer page, and a puzzle with a control card for Joshua 1:9 (NLT). 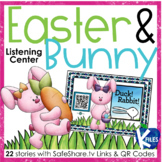 This set goes along with "The Runaway Bunny" by Margaret Wise Brown.